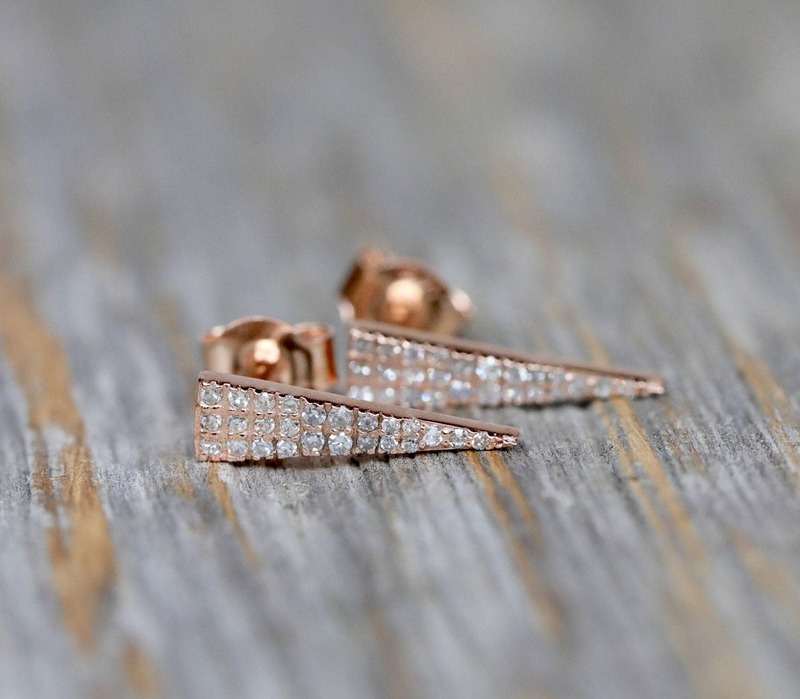 These are our dainty on-trend geometric triangle stud earrings. 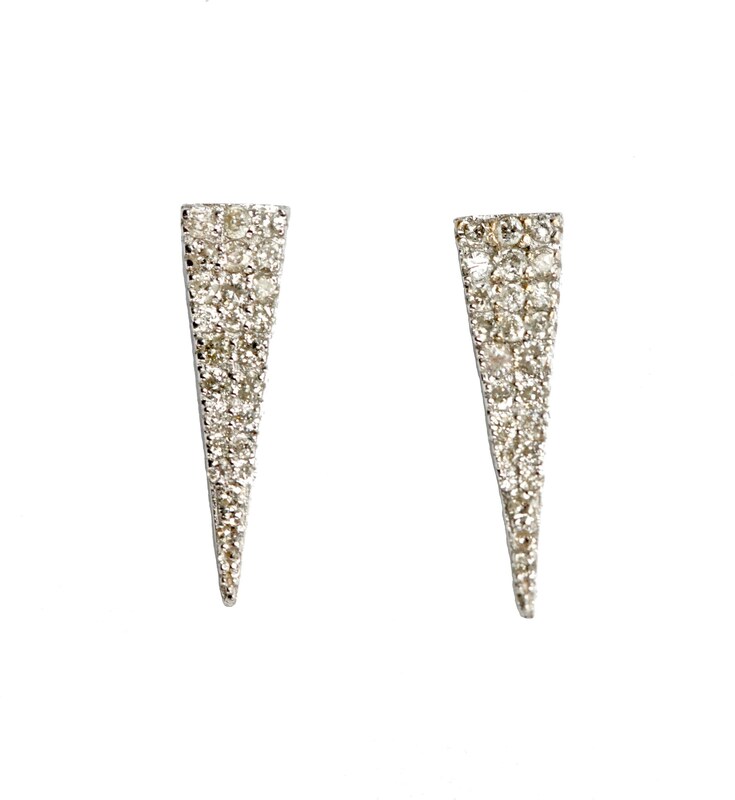 The earrings are made with full cut white diamonds and solid 14K gold. 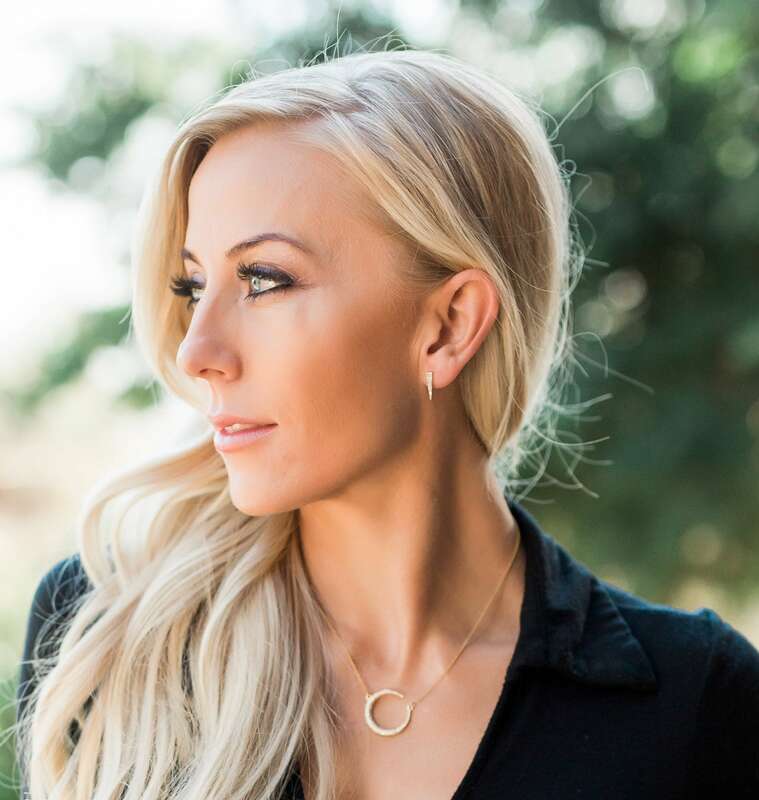 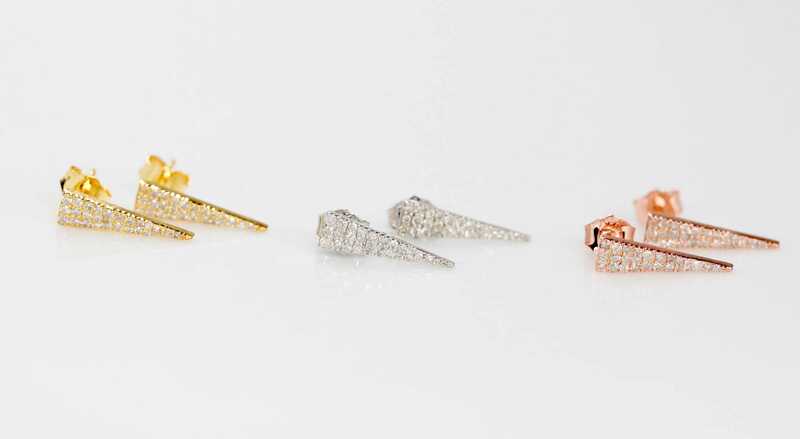 These are the perfect sparkly minimalist stud earrings. 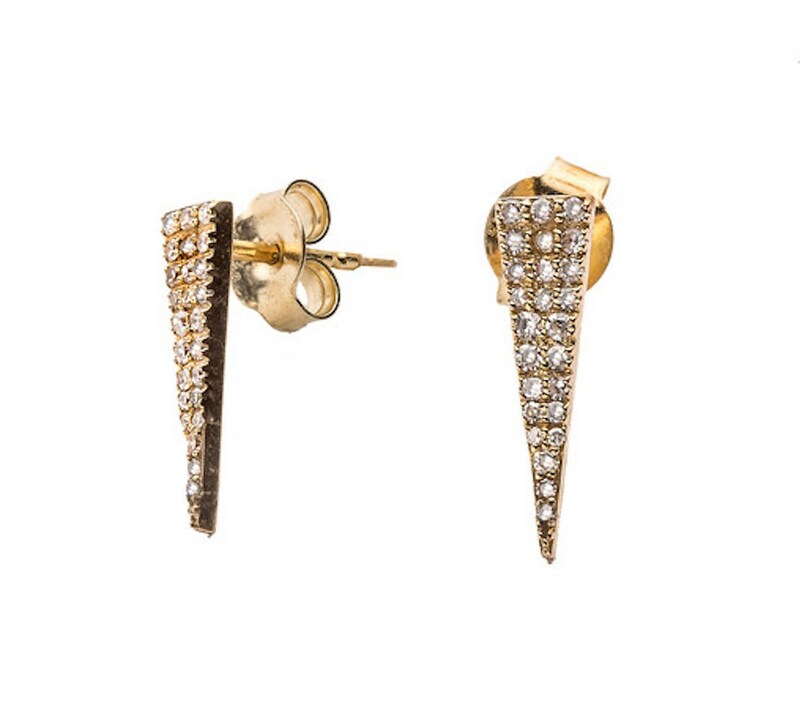 The photos do not do the "bling" in these earrings justice. 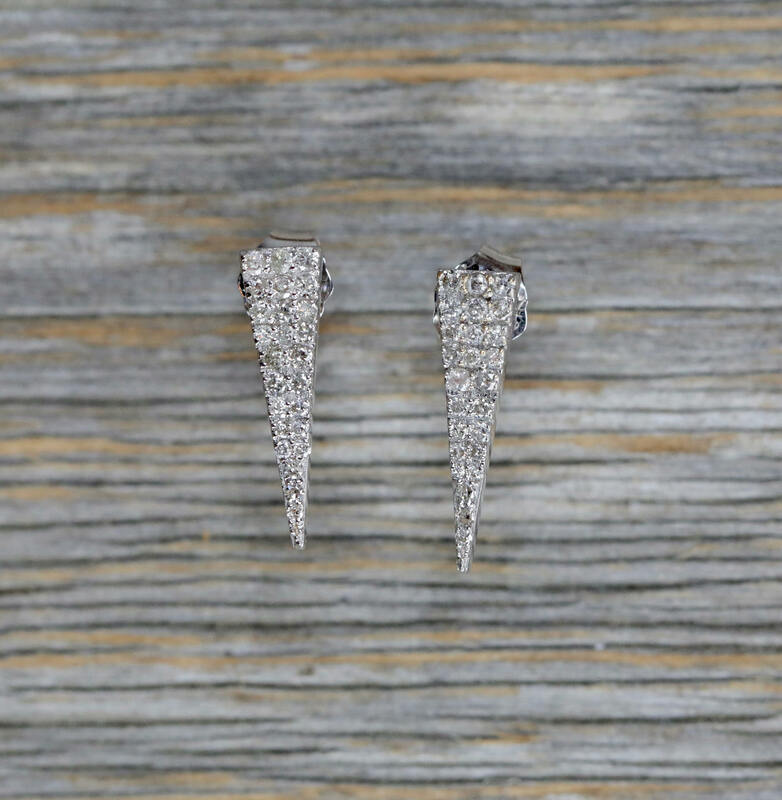 These are currently my favorite everyday earrings. 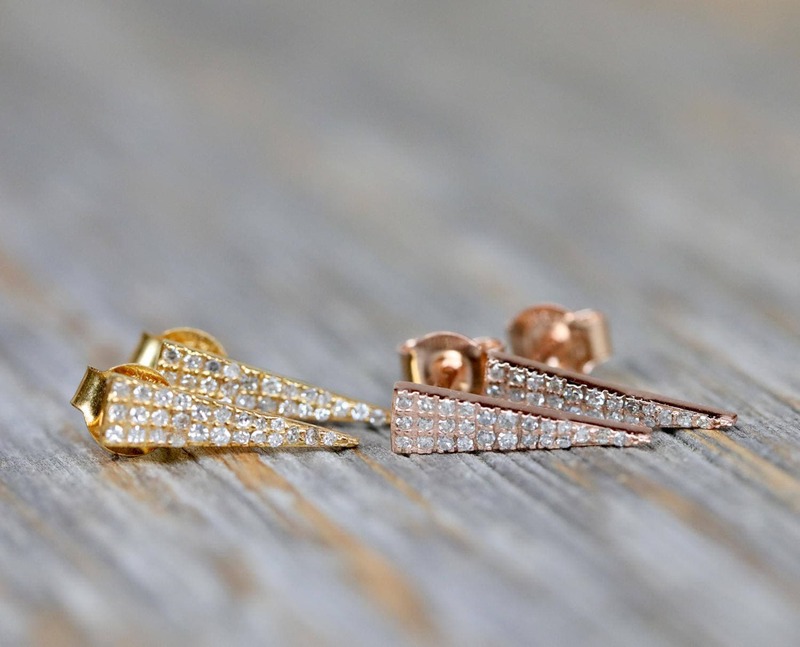 ready to ship in 14K WHITE or YELLOW GOLD.